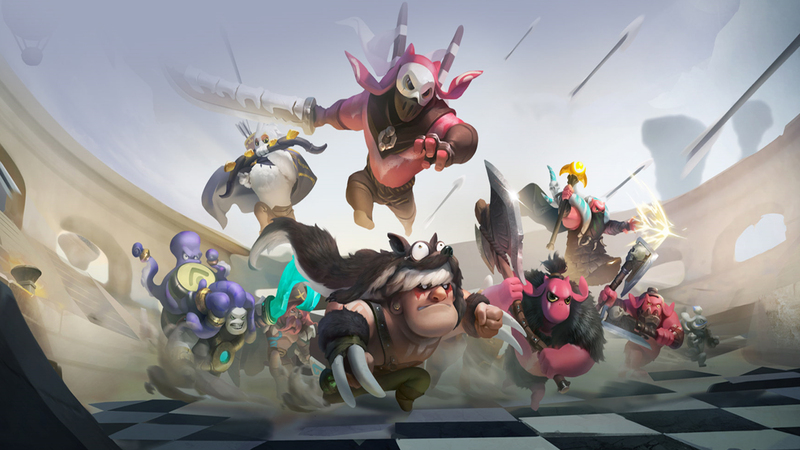 The creators of Auto Chess announced alpha test qualification for the mobile version of the game. The testing will begin on Android, with the team “actively preparing for the iOS platform”. According to the official website, “the development of the first version of “Auto Chess” is about to finish”. Since its launch on January 4, 2019, the PC version of Dota Auto Chess has increased the number of Dota 2 players by 23%, according to the statistics published by Newzoo.com. As of March 31, the mod has generated 17.1 million hours of live viewership on Twitch. This figure combines data pulled in from Dota Auto Chess channel and Dota 2 channel. Dota Auto Chess is a fan-made Dota 2 mod created by Drodo Studio from China. This custom game mode has players battle each other on an 8×8 grid resembling a chessboard. As is clear from the name, players do not control their “chess pieces” once the round begins. While there is some randomness to the outcome of each battle, players should consider carefully which units to choose and how to combine them based on their stats. What’s next for Auto Chess? Newzoo.com speculates that Dota Auto Chess might repeat the success of other games that humbly started as custom mods but took on a life of their own. Counter Strike, for one, begun as a spin-off of Half-Life. Dota itself derives its ancestry from Warcraft 3. In fact, Drodo Studio takes it one step further severing all affiliation with Dota 2 for the game’s release on Android and iOS later this year. More updates on the game’s official website.